Easily manageable IT security software incorporating ransomware protection. Install and forget. Cloud-based administrator maximizes convenience and slashes hardware expense. 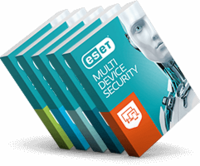 Manage IT security conveniently using ESET Cloud Administrator. Benefit from a single-point overview of your network security. Receive notifications as incidents occur. React immediately from wherever you are. ESET has been winning industry awards for complete endpoint protection for more than 20 years. Our multi-platform, antimalware security comes with web control, firewall and anti-spam filter. Benefit from light-on-your-system, advanced layers of protection for endpoints and networks. 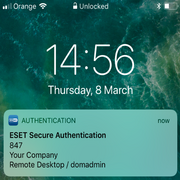 *Mobile security is not manageable via ESET Cloud Administrator at the moment. 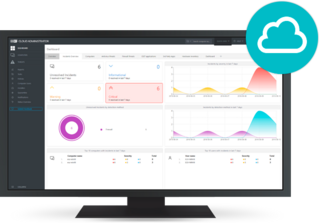 Cloud-based or on-premise remote management console? Register your company with ESET Business Account to get a free 30 day trial license for ESET Endpoint Protection Advanced Cloud covering up to 25 seats. It does what it promised to do, at reasonable cost. I like it. We have renewed it 5 times already, which speaks for itself.